Butterfly-profiled touring pedals make for a great addition to city bikes. 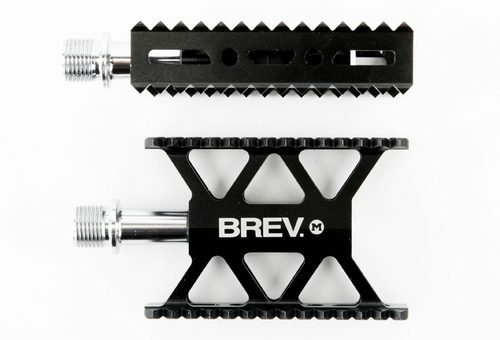 Brev.M knows this, which is why the company took a classic pedal and improved it. How? By making each pedal weigh only 3.6 oz! They also thinned up the cages and quills, giving them a really elegant silhouette. As it stands now, these are only prototypes, with the final product coming soon. Keep an eye on the Brev.M blog for more updates. Thanks to Urban Velo for the heads up.